Ben Vorlich and Stuc a' Chroin are neighbours and are among the first Munros to be seen by visitors heading N as they can be seen from the A9 S of Stirling. These two mountains have almost parallel SE ridges and they are connected by Bealach an Dubh Choirein. 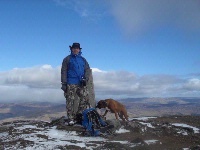 The summit of Ben Vorlich sits at the intersection of four ridges all of which offer access routes. 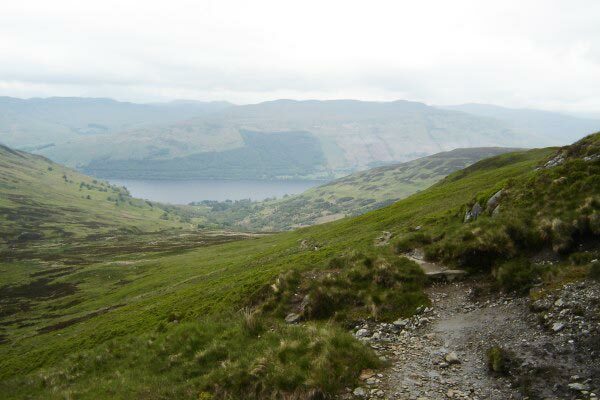 The access path from Loch Earn, through Glen Vorlich, ascends the W face of the N ridge, but the NW ridge to Ben Our offers an alternative route to join the same path. 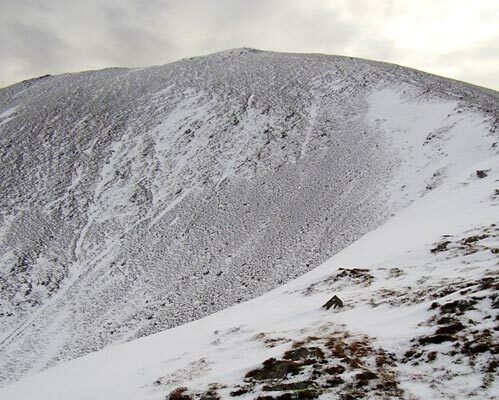 The SW ridge connects to Stuc a' Chroin and the long SE ridge can be ascended from Gleann Dubh Choirein. The path through this glen joins the path from Glen Artney to Callander, offering longer routes for walkers. 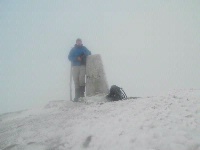 Ben Vorlich in winter - miles better that Ben Vorlich in summer! Stuc a' Chroin and Ben Vorlich with the Allt an Dubh Choirein from the south-east; 31st March 2007. 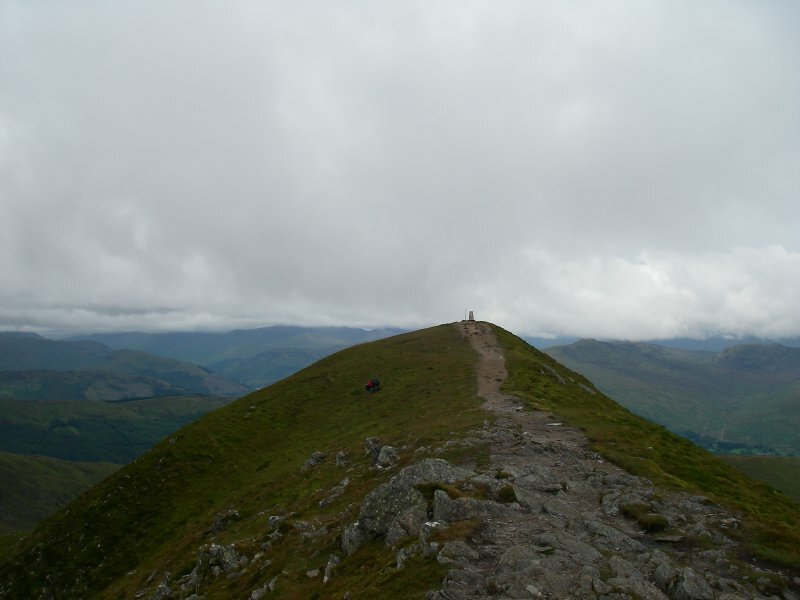 The summary information of one or more ascent routes that include Ben Vorlich [Loch Earn]. 1 1260 m 14.70 km 5.5 hrs Ben Vorlich [Loch Earn] and Stuc a' Chroin This is a relatively easy route, but the ascent of Stuc a' Chroin is a scramble. Karl and Oscar on summit,17/3/12. Post a few words about Ben Vorlich [Loch Earn] or read what others have had to say. Showing the most recent 5 of 22 comments. Would you like to view all 22? 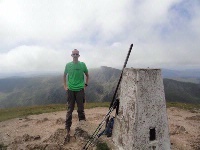 walked Ben Vorlich and Stuc a' Chroin on the 29th of June, weather was fine, bright and warm with a light breeze which kept us cool on the tops. A nice steady ascent which took about 2 1/2 hours to summit on Ben Vorlich. Did the scramble up the prow on Stuc a' Chroin which was enjoyable and fairly straightforward. Took us 2 hours to get back to the start at Ardvorlich house. We walked down through the garden, which is just above the waterfalls at the side of the path leading up the side of the wood just as you leave the Ardvorlich house. It's quite spectacular in there and is worth a visit. Ben Vorlich is straightforward in the current snow conditions, the ascent of the buttress at Stuc a' Chroin however, is a bit of a challenge with deep snow between the boulders. I did it today (20th Feb 2010) and the snow is quite layered and loose near the top so it my be a good idea to check the avalanche forecast before you commit to do it. good path (and I am a path kinda person ...... jackie) steep in parts but easy underfoot. Good walk, good day and good pint at the waverley pub in callendar after! 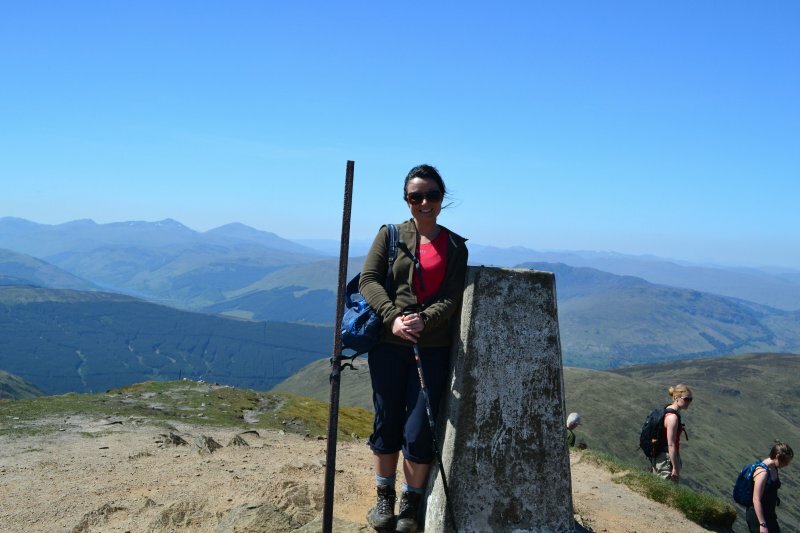 Took my sis up Ben Vorlich 12.09.09 and for a change had glorious weather and great views. Took the route up Stuc A Chroin 1st, just for a change. Came back dry, a little muddy and sun tanned. Couldn't have hoped for a better day after the trauma that hill has caused and had great views. Last time came off Ben Vorlich headed for Stuc A Chroin and veered to the right instead of the left. Any one lost in the fog ever, keep to the fence posts and follow them until the beallach and follow path to Stuc A Chroin or back down the glen. Safest and best route.